We are a group of doctors from a leading London teaching hospital serving London and the South East. Our multi-disciplinary team consists of specialist Orthopaedic and Trauma consultant surgeons and highly skilled physiotherapists who work alongside each other to provide integrated medical and surgical care for the whole spectrum of conditions that relate to bone and joint disorders as well as fractures and limb injuries. We believe that you as a patient deserve to be placed at the centre of your care. We believe our team approach allows us to deliver quality care with the best outcomes that are achievable for you as a patient. If you wish to see a specific consultant please highlight that at the time of your call or by email. Alternatively follow the link for the individual consultant for their direct contact details. Do I need a referral letter from my Doctor or GP? Most insurance companies will need a GP referral before you can see us. However this needs to be clarified with your individual company. Some insurers also accept direct physio referrals. If you do not have a NHS GP and a GP referral is required to activate your policy then a referral can be completed by a private GP. Is my consultation covered by the NHS? 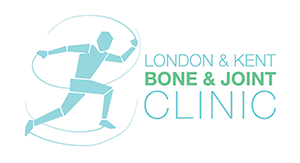 The London & Kent Bone & Joint Clinic is a service independent of the NHS. Our consultants do however have practices in the NHS. To see them through the NHS your GP will have to refer you directly to the NHS base hospital. Do I need insurance and if I have insurance what do I need from my insurer? On the day of your surgery you will be asked to arrive several hours before the procedure. You would have been informed if you are having your procedure under local anaesthetic or general anaesthesia. You will be seen by your consultant and the anaesthetic team prior to your procedure. This is to ensure you have given informed consent for the procedure and also to answer any other outstanding queries that you may have. If you are having a general anaesthetic you need to be ‘Nil by Mouth’ for at least 6 hours before the procedure. You can bring some suggested items for more comfort. After a general anaesthesia it is essential that you are picked up by someone to take you home (after day case procedures). Your consultant will see you after your surgery and will discuss your follow-up and rehabilitation programme. If you require physiotherapy we will arrange this for you in one of the physiotherapy practices locally that we work closely with. Recovery periods after each surgery vary based on the severity of the injury and the required procedure – this will be discussed with you during your consultation. It is important that you take this into consideration when planning your time off work post surgery. Is there any post-operative follow-up? This will be arranged after your surgery and during these appointments suture removals and changes of dressing are carried out when necessary. Where can I post my feedback? Many thanks for sorting out my mishap and the care that has mended me. Massive thanks for providing my little one the best of care. He operated on her and kept a close eye. I couldn’t thank him enough. To book an appointment or make a referral please email info@londonbjc.com, telephone 02033725787 or fill in the form below. © London & Kent bone & joint clinic. Designed by AF.